Cassandra is celebrating the holidays with a new full-time job after enrolling in Wisconsin Works! If you are looking for a career change, call 715-261-8700 to learn how our staff can help you! With four children she adores, Cassandra wanted a job that would let her be there for them – both financially and at the end of their school day. She started working with Wisconsin Works to learn the skills she needed to work in an office setting. They helped her find childcare, arrange her schedule, and start volunteering at the Job Center. 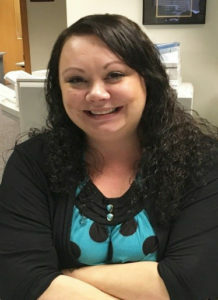 Cassandra put her communication skills to work, helping her fellow job-seekers with their resume and job searches and making important reminder calls for the Wisconsin Works program. Meanwhile, she learned essential administrative and computer skills. When the chance to meet multiple employers at a hiring event came about, Cassandra was one of the first to arrive. After an on-the-spot interview, United Health Group was excited to add her to her team. Great way to start the holidays!